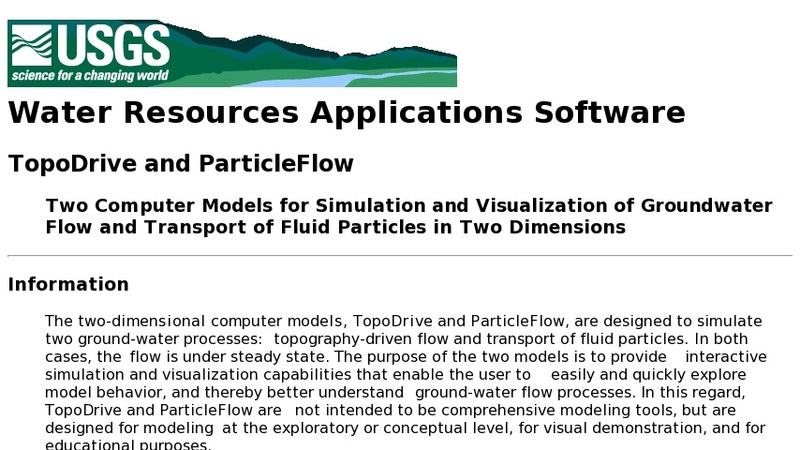 These two-dimensional computer models are designed to simulate two ground-water processes: topography-driven flow and transport of fluid particles. The purpose of the models is to provide interactive simulation and visualization capabilities that enable the user to easily and quickly explore model behavior, and thereby better understand groundwater flow processes. These models are not intended to be comprehensive modeling tools, but are designed for modeling at the exploratory or conceptual level, for visual demonstration, and for educational purposes. The models are available as a Windows version and as an applet.